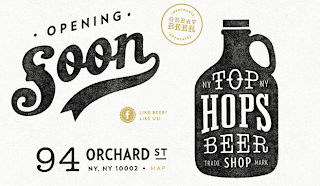 Urbandaddy reported Top Hops, a craft brew superstore (from a former Anheuser-Busch exec) that has direct access to the world’s entire beer supply (seriously), will be opening Saturday in the Lower East Side. This bar has the ultimate to-go menu: 64-ounce growlers and build-your-own six-packs. Now you’ll be ready for Super Bowl Sunday (and heck, ANY weekend) to throw the ultimate beer guzzling apartment party. Visit Top Hops to enjoy a glass or two of beer at their bar (they will stock 800 bottles) and share charcuterie plates from Essex Street Market with your crew. Before you head out, order your takeout growlers to bring home for the big game or a random beer drinking night-in. 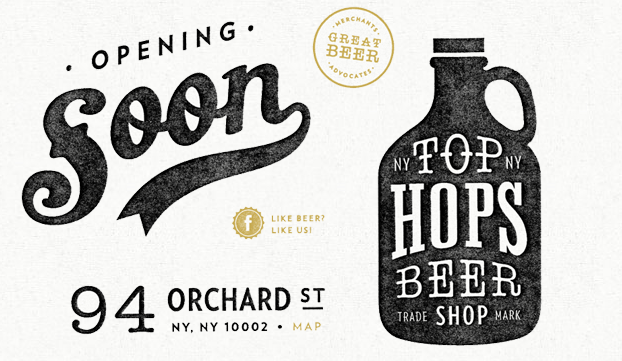 Craft beer lovers and frat boys alike will have found beer heaven. Top Hops. 94 Orchard Street.